Series creator Joss Whedon brought Buffy the Vampire Slayer back to life with this comics-only follow-up to Season 7 of the television show. Now the wait is finally over for Buffy fanatics everywhere as Dark Horse announces the deluxe, oversized, dust-jacketed hardcover collection of Buffy Season 8! This hardcover edition contains the first two arcs of the series (Buffy Season 8 #1–#10), written by Joss Whedon and Brian K. Vaughan (Y: The Last Man, Runaways), with art by the acclaimed Georges Jeanty. It includes two one-shots, a cover gallery, and exclusive, never-before-seen sketch material! After the destruction of the Hellmouth, the Slayers—newly legion—have gotten organized, but it’s not long before new and old enemies begin popping up. Buffy, Xander, Willow, and a very different Dawn are introduced to the season’s big bad, Twilight, and are only beginning to understand the incredible reach of this mysterious threat. Meanwhile, rebel Slayer Faith teams up with Giles to handle a menace on the other side of the Atlantic. It’s a dirty job, and Faith is just the girl to do it! Buffy the Vampire Slayer Season 8 Volume 1 is on sale May 30, 2012! And if that's not enough Buff for you wannabe slayers out there, collector's editions of season 9 aren't too far behind either. Series creator Joss Whedon has teamed up with Andrew Chambliss (Dollhouse, ABC’s Once Upon a Time) and Season 8 artist Georges Jeanty for the life-affirming, world-changing Season 9 of the smash hit Buffy the Vampire Slayer. Dark Horse Comics is proud to announce the first collection of the season with Buffy the Vampire Slayer Season 9 Volume 1: Freefall! 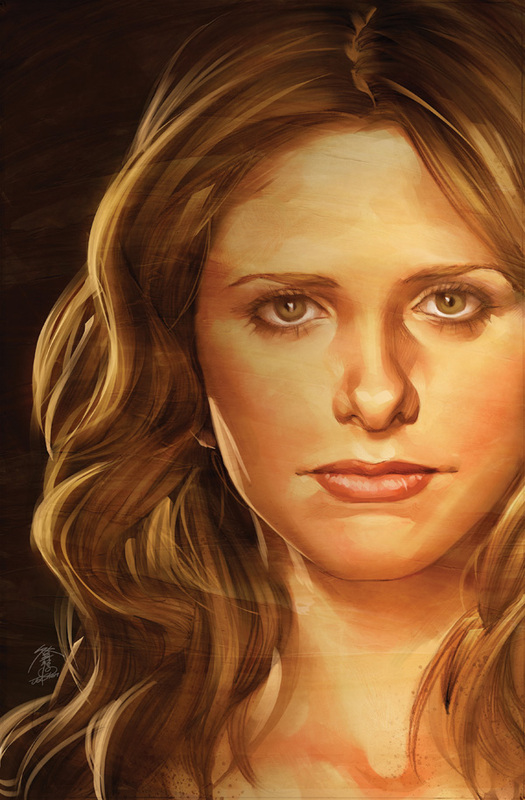 Freefall collects Buffy Season 9 #1–#5! On sale August 1, 2012. Zom-pires? I think my head just spontaneously combusted from awesomeness.